CHECK IN LOCATION: Round trip hotel transportation provided. 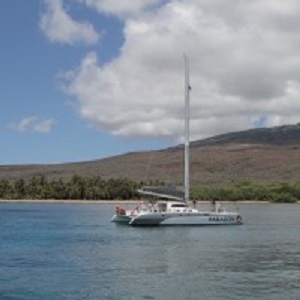 INCLUDES: Transportation, admission to Haleakala National Park and expert narration. Dinner in central Maui is included at Cafe O Lei at the Dunes. For those guests who prefer to sleep in, the Haleakala Sunset Tour offers an equally dazzling show of light and color as the Haleakala Sunrise Tour but at twilight. On the ascent, visit Kula Lodge Marketplace nestled in the slopes of Haleakala where you can browse unique gift items and enjoy scenic views of the Pacific Ocean. Dinner in central Maui is included at Cafe O Lei at the Dunes. After your magnificent adventure we will provide a complimentary return to your hotel. Descend Haleakala and marvel at scenic views of Maui's lowlands. Three course dinner included at Cafe O'Lei at the Dunes. 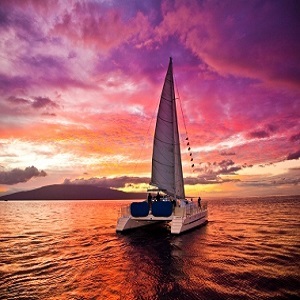 Hotel pick up is provided from major Maui hotels; please provide the name of your hotel when making a reservation. Please phone our Reservations Department at least hours 24 hours prior to your tour to re-confirm your pick up time and location. We are not permitted to pick up in residential areas or at B&B's. People who have gone scuba diving need to wait 24 hours before going on tour.